ABOUT THE AUTHOR: Ted Kooser was the United States Poet Laureate from 2004 to 2006 and won a Pulitzer Prize for his book of poems Delights and Shadows. He is the author of twelve full-length volumes of poetry and several books of nonfiction, and his work has appeared in many periodicals. He lives in Garland, Nebraska. 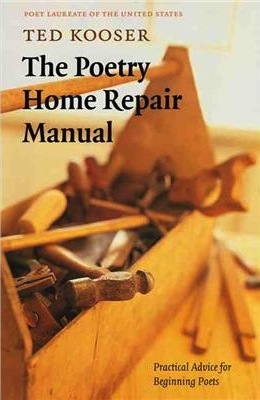 The Poetry Home Repair Manual by Ted Kooser is available at Amazon.com.